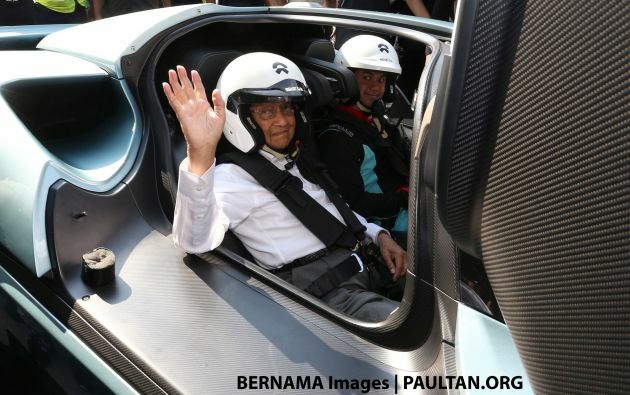 Prime minister Tun Dr Mahathir Mohamad said Malaysians should be open to the idea of the proposed new national car project (NNCP), saying it will enable them to learn and understand automotive engineering technology. He lamented the scepticism from the rakyat, who thought national cars were bad and were not supportive of the government’s plan to launch the project. “People think our cars are bad. They say, don’t buy Malaysian cars, buy foreign cars,” he told reporters at the Asia GT Festival at the Sepang International Circuit over the weekend, where he flagged off the Malaysia Speed Festival (MSF) Saga Cup race. Mahathir pointed to the Chinese-made NextEV Nio EP9 all-wheel drive 1,341 hp electric hypercar, which is the holder of the EV lap record at the Nürburgring Nordschleife with a time of 6 minutes 45.9 seconds. 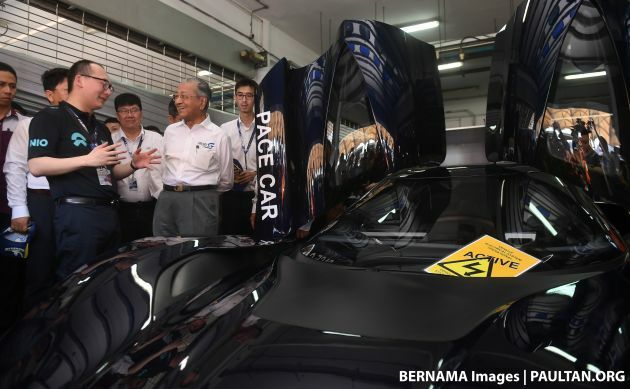 The car made an appearance at the race event, where Malaysian race car driver Jazeman Jaafar took Mahathir for a lap around the track in the Nio, leaving the PM impressed, Bernama reports. “You see, Malaysians think they know everything already, including the technology involved here. That is why they don’t want the third car and say it is a waste of money. They know nothing (about) automotive engineering. That is why we (the government) plan to introduce the third national car to learn the technology involved,” he said. Details of the NNCP – which was supposed to have been named at the end of last year, with a prototype scheduled for early 2019 ahead of a 2020 roll out – have not emerged. Early this year, there was word that the identity of the company leading the NNCP would be announced on January 28, but that day passed by without any NNCP news. The post Tun Mahathir says Malaysians should be open to new national car project, says it will spur tech learning appeared first on Paul Tan's Automotive News. 0 Response to "Tun Mahathir says Malaysians should be open to new national car project, says it will spur tech learning"